The best hair products and how to find them? Now that's the question of the year. I don't know about you but when I walk down an aisle of hair products that looks like the photo in this blog, my mind goes racing with tons of questions, and feelings of overwhelm, and confusion. The colors, the messaging, the competing shelf space and the money each brand pays for that competing shelf space. To the highest bidder goes the middle shelf within arm's reach. The best hair products, I might say, are not always within arm's reach but they are often available online or by digging a little deeper to find the products you want and are looking for. whether through a local homemade brand, a boutique brand that caters to your hair care needs, or one that provides great education about it's hair products and services. Many people suffer from allergies and allergy sensitivities and buying a product from a major market or retailer means you may not get the product information or best hair product guidelines to style your hair, or treat your hair and scalp. 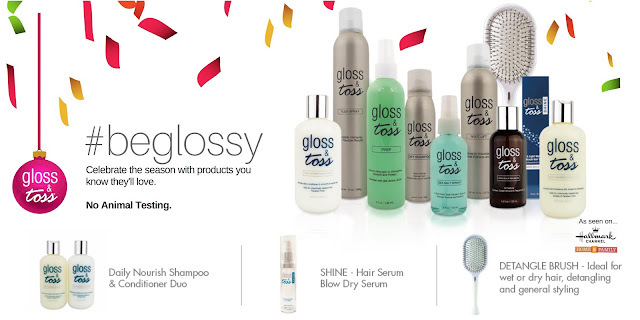 When you're feeling overwhelmed and nothing seems to be easy to understand in your hair care products, visit Gloss & Toss online or feel free to shoot us an email on the CONTACT page on the site. We hope to explain things to you to help you understand your own hair care needs and how this product line may best help you with your daily hair styling including working with a great detangle brush, hair and scalp treatments, dry shampoo, flexible hairspray, and some of the best hair products on the market used by leading Hollywood hair gurus to style hair on sets. Check it all out outline - and skip the trip at the supermarket. Shop Gloss & Toss instead.